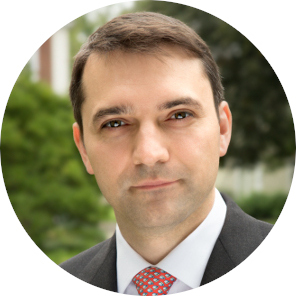 Soltes is the Jakurski Family Associate Professor of Business Administration at Harvard Business School where his research focuses on how individuals and organisations confront and overcome challenging situations. He teaches in several of the school’s executive education programs and was awarded the Charles M. Williams Award for outstanding teaching in 2015. Soltes’ work on corporate misconduct and fraud culminated in the book Why They Do It: Inside the Mind of the White-Collar Criminal, which was described by Kirkus Reviews as “a groundbreaking study” on white-collar criminality. The book explores why often wealthy and successful executives engage in deception. The investigation draws on more than seven years of interaction with nearly 50 of the most high-profile former executives responsible for the most significant corporate crimes. The book refutes popular explanations of why seemingly successful executives engage in fraud and instead shows that most executives make decisions the way we all do — on the basis of intuitions and gut feelings. The trouble, Soltes shows, is that these gut feelings are often poorly suited for the modern business world and often lead to the harmful acts that we so often read about in the news. Yip has worked with organisations globally on cybersecurity initiatives and projects, particularly in the areas of strategy and transformation, data protection, threat management, and governance, risk and compliance. Yip has held positions across the Asia-Pacific region and Europe in some of the world's leading companies including McAfee, EY and IBM. 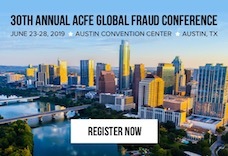 Secure your spot to hear these experts at the 2019 ACFE Fraud Conference Middle East by visiting FraudConference.com/middleeast. Register by 31 December to save USD 150.